Our Beauty Advisors focus on all aspects of our customers' needs. It is about serving our customers, valuing their individuality and being the reason they want to keep coming back by making a positive and unique difference in their shopping experience. Customers look to you to make recommendations that meet her needs. In addition, you will work as a team in keeping the store looking great and ready for the customer. We are looking for candidates who thrive on the fast pace of retail, love helping customers with their beauty needs, enjoy working in a culture of "can do" as your role has many responsibilities, and demonstrate a strong work ethic. We have both full-time and part-time positions available. 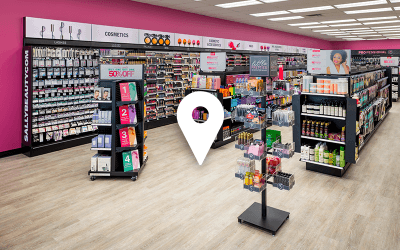 Our Assistant Store Managers take an active leadership role in partnering with the Store Manager in serving our customers with their beauty needs and managing the daily store operations. Our Assistant Store Managers help train and coach our store associates to be the best they can be. The successful Assistant Store Manager will participate in training programs that lead to advancement in bigger store operation roles. This is part of our commitment to your individual growth. Running a Sally Beauty store is something special. We aren’t like any other retailer; we place a real emphasis on knowing our products and driving a trend-focused team. Our Store Managers have a great amount of responsibility which includes hiring, training, coaching and leading a spirited team who always put the customer first. Our Store Managers need to be results driven as you are responsible for creating a customer centric team, growing sales, merchandising, managing inventory, and protecting our assets among other operational responsibilities. Prior management experience is preferred. A District Manager oversees multiple stores, typically between 18 to 24 locations. A District Manager's role is critical in ensuring our long and short-term strategy maximizing our sales and profitability. They're also responsible for giving direction, and leading and managing their districts according to our Cultural Values and high standards that we have set for ourselves. District Managers are responsible for developing their Store Managers to be successful and grow through clearly defined goals and constructive feedback. District Managers are decisive, manage with integrity and stay cool during challenging times. Our District Managers build trust with their teams, lead by example, value creative differences and handle conflict effectively. Multi-Unit or Big Box Retail Management experience required. A Regional Director oversees multiple districts, typically 18 to 20 districts and approximately 180 to 200 stores. This role is critical in the development of our District Managers and overall success of our company. A Regional Director is responsible for communicating our long and short term strategies leading to the continued growth of our company with ultimate accountability for delivering results without any excuses. We are looking for those that can inspire and motivate teams in a culture of "can do" linking their actions to results. Our future depends on people like you setting the vision and regional plans that ensure we outperform the competition and remain the authority in the hair and beauty world. Multi-Unit experience is required. This position requires extensive travel.